The leading independent specialist for windscreen replacement and windscreen repair based in Nottingham and serving all of the Nottingham area. National Windscreens Nottingham fitting centre provides windscreen replacement and windscreen repair services to businesses and individuals throughout Nottingham and the Nottingham area. 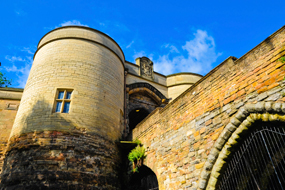 The city of Nottingham, situated in the East Midlands, is famed for its links with the legendary Robin Hood. A number of famous attractions draw individuals to visit the city, for example, the National Ice Centre, National Water Sports Centre and world famous Test Cricket Ground, Trent Bridge. Nottingham is home to two large capacity theatres, as well as numerous museums and art galleries. The M1 sits to the west of the city, providing excellent links to the north and the south. The Nottingham windscreen fitting centre and its mobile vehicle glass technicians service the needs of Nottingham and the surrounding area including Loughborough, Attenborough, Carlton and Hucknall. With 108 fitting centres and over 800 mobile technicians, National Windscreens operates the UK's largest windscreen repair and windscreen replacement network. The company provides low cost, high quality windscreen replacement and windscreen repair from its Nottingham fitting centre 24 hours a day, 7 days a week, 365 days a year. Repair and replacement of all types of vehicle glass including windscreens, rear windows and side windows is undertaken throughout Nottingham and all of the Nottingham area.